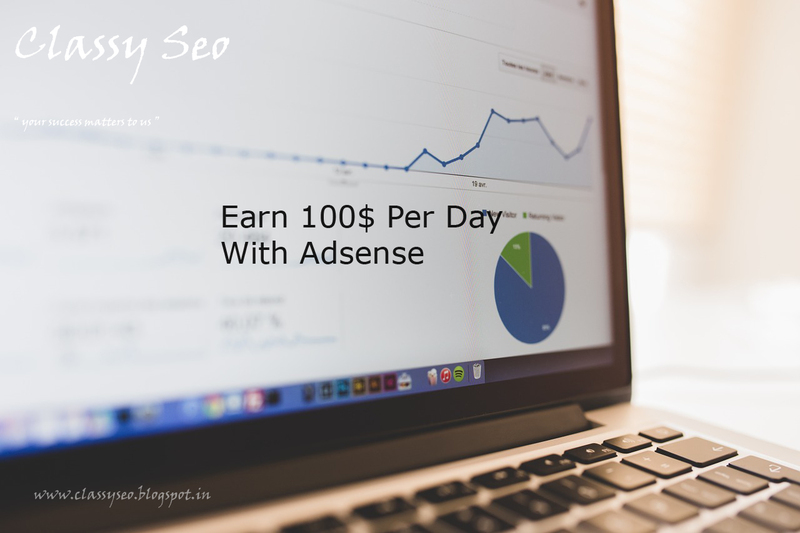 Earning $100, $200 or even $300 per day with Google AdSense is not an impossible job. Many bloggers and website owners are doing it, and you are not an exception. The only thing you need is better planning and execution, hard work, determination and passion for blogging about your topic or niche. Before diving into the exact process, let’s know some terminology for better understanding of Google AdSense and how you can generate more revenue by selling your ad inventories on your blog. What Is AdSense: It’s a monetization program by Google for online content from websites, mobile sites, and site search results with relevant and engaging ads. CTR : Your ad Click-through Rate is the number of ad clicks divided by the number of individual ad impressions. Suppose you are showing 3 AdSense ads on every page, your 1 page view is equal to 3 ad impressions. CPC : Cost-Per-Click is the revenue you earn each time a visitor clicks on your ad. CPC is usually determined by the advertisers. In some competitive niches like finance, marketing, online products etc. advertisers may be willing to pay more per click than others. Let’s Make $100 Everyday With Google AdSense, Right? For the convenience of calculation we assume that – You serve your AdSense ads on your blog or website, irrespective of showing your ads on your mobile site and added the site search results with AdSense. Your CTR is 1% and your average CPC is $0.25. It’s quite achievable and lots of bloggers usually get it. We also assume that Page View = Ad Impression for easy calculation. You can manipulate the parameters on your own for desired results. To make $100 everyday you need 40,000 Page Views/day Or, 400 Clicks a day @ 1% CTR and $0.25 CPC. For 40,000 Page Views you have to produce 500 awesome articles or blog posts which attract at least 80 or more page views/article everyday. Apart from CPC, you will also earn from your CPM ad impressions. Irrespective of any niche, the average CPM earning is $1 to $1.5 per 1,000 impressions. You can make $40 to $60 per day easily from 40,000 page views. You can also sell your Ad space directly or via BuySellAds.com and generate $6,000 Per Month on an average from 40,000 page views. Check out how webmasters and bloggers are making $6,000 to $8,000 Per Month from BuySellAds with forty thousand page views per day. So your daily earning will be $200 (6000/30=200). A niche blog with high quality articles converts very well with affiliate marketing. You can easily earn $40 to $80/day from affiliate selling with correct implementation and execution. $380 per day means $11,400 per month (380X30= 11,400) Or, $136,800 per year(11,400X12=136,800). Isn’t it a whooping amount to lead a lavish life?